As the wave of spring album announcements continues to build, it’s easy to overlook the solid lineup of releases here to keep us warm in the dead of winter. February brings a ton of great indie music, with Beirut, Girlpool, Cass McCombs, and Panda Bear all returning with new full-lengths. And it’s a particularly strong month for folk singer-songwriters: Tiny Ruins, Jessica Pratt, and Julia Jacklin are all here to help soundtrack the wistful, snowed-in hours. 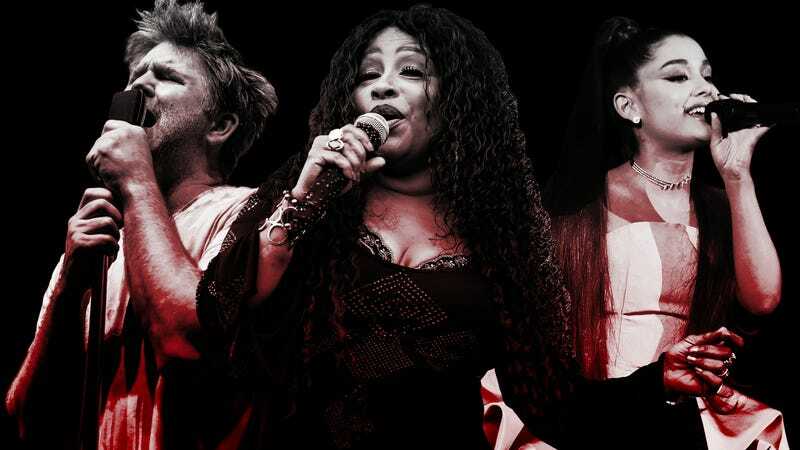 Hip-hop largely remains a waiting game, but otherwise, releases from Ariana Grande, LCD Soundsystem, Mercury Rev, Chaka Khan, and Xiu Xiu give us a lot to look forward to. These are the albums we’re most anticipating in February.